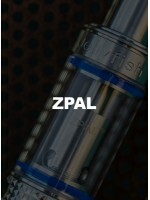 Zpal Coral Atomizer Coil 5 Pack Clapton 200 WATT COIL!! !0.38 Ohm (30-200W)..
FeaturesTop filling with threaded cap. Two big filling holes make filling easy and convenientUnique ..